As some of you might already know, Dubai owns a very special place in my heart since our first visit in 2013. Back then, A proposed to me during a very romantic dinner at the private beach of Burj Al Arab. While the beach is gone by now and taken over by another property, Burj Al Arab is still as iconic as ever. While you might argue whether it really is “world’s best hotel”, one thing you can’t argue about is its prime location on the Dubai coastline. 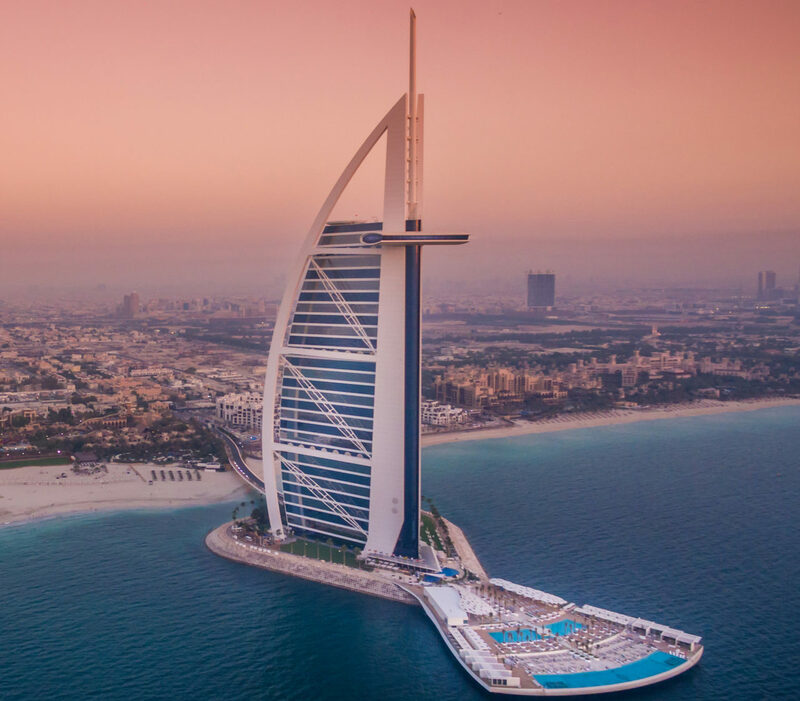 Right where the sun sinks into the Arabian gulf, the Burj Al Arab still is one of the most famous buildings worldwide, even almost 20 years after its inauguration. For our recent wedding anniversary, A took me back to where it all started and surprised me with a romantic private dinner on the newly built Terrace of the Burj al Arab. It was definitely a night to remember. 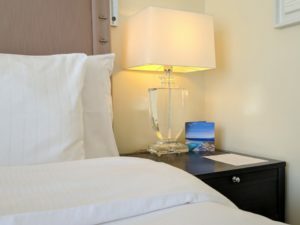 Because it is built on an artificial island, I always felt the limited space did not allow for proper facilities, especially compared to more recent Dubai beachfront properties that have gardens and fantastic pools. 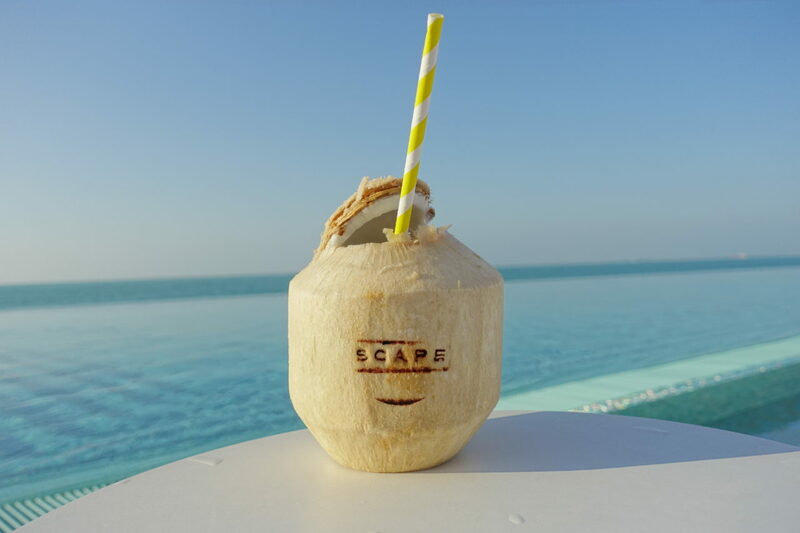 However, with the construction of “The Terrace”, Burj al Arab received a massive upgrade, adding a beach, infinity pool, cabanas and a restaurant, bar and lounge called Scape to their property. Scape itself is already a lovely location, however, for our special occasion our private table got set up right at the edge of the huge infinity pool leading into the ocean. I mean – can it get more romantic? The horizon views were incredible with the iconic Burj Al Arab right behind us. The bridge leading over the pool of the terrace was “closed” just for us and a red carpet led to the passionately set-up table right in front of the pool. The table had a nice arrangement of candles surrounding it, flowers atop and some anniversary gifts waiting for me. 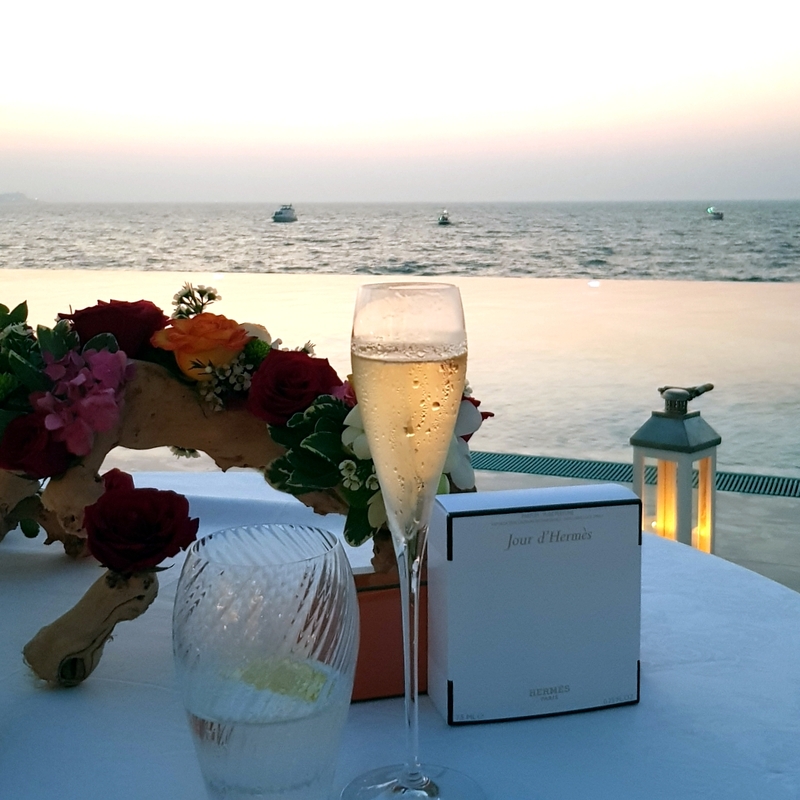 We kicked off our romantic dinner by enjoying a glass of bubbly while witnessing an incredible sunset. The terrace with its pools is stretching right into the ocean and makes for one of the most special dinner locations I’ve ever experienced. 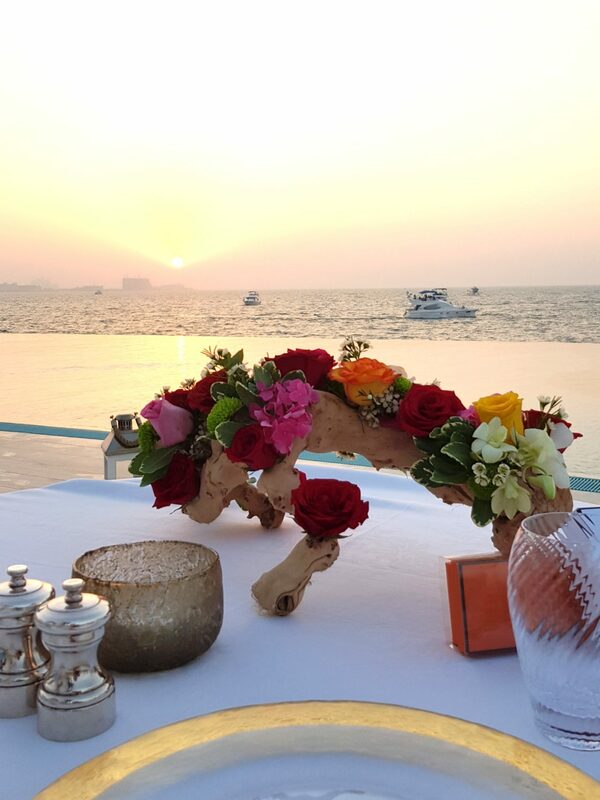 Our table was set up right at the edge of the massive infinity pool with views of the Arabian gulf. 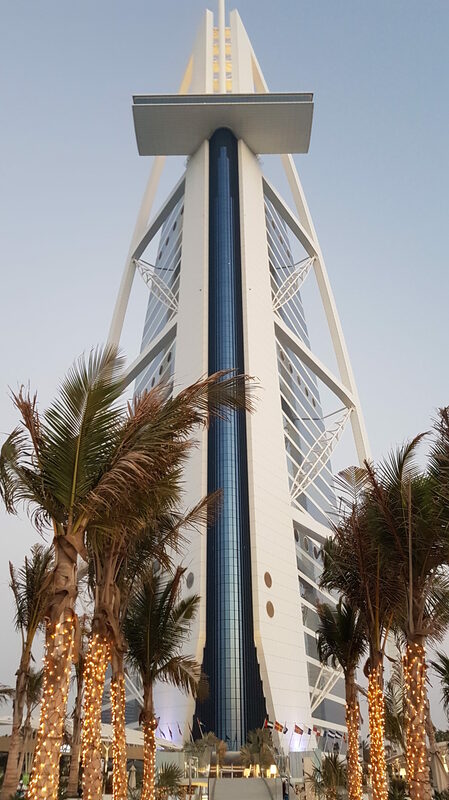 Right behind our table – the iconic Burj Al Arab hotel from an unusual perspective that you don’t get to see very often. 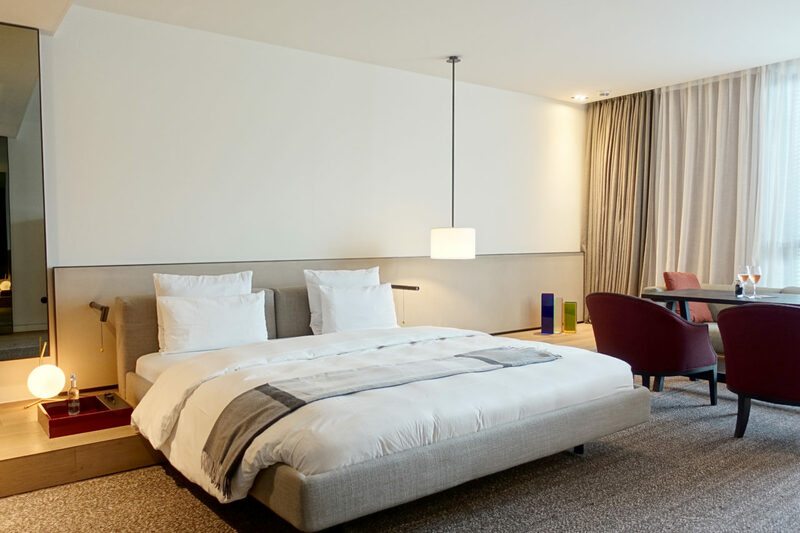 The menu of Scape offers a blend of Californian and international cuisine. The romantic dinner package comes with a fixed 6 course dinner which we didn’t like too much so we were able to select four (we could have selected even 6!) courses from the regular menu that was brought to our table. Needless to say, the dishes such as a proper burrata, octopus salad, fish tacos and a filet of beef as well as sliders with truffle fries were all to the point and tasted delicious. Accompanied by bubbly,the most delicious craft cocktails and lots of water (Dubai still is in the middle of the desert and you got to stay hydrated after all) we enjoyed a fabulous al fresco dining experience. 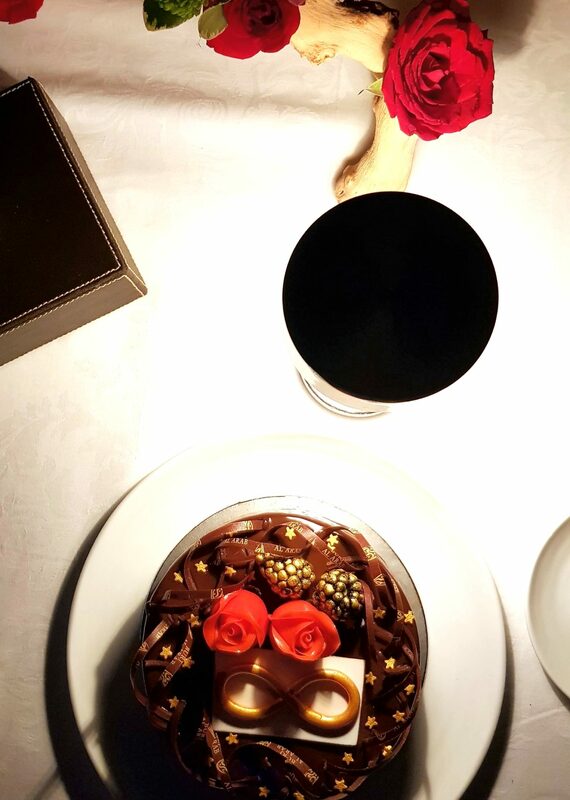 The dinner was topped of with a surprise cake that looked plain awesome. A definitely has become an expert in organizing fabulous date nights and celebrating special occasions. He knows how to wow me every single time. It was an unforgettable anniversary dinner and I loved to spend some alone time with A while watching the sunset and enjoying a delicious dinner. But not only the location and food were fantastic, but we also had an amazing team that night. We had our dedicated waiters looking after us the whole evening, being fun and cheerful, though unobtrusive and highly professional. 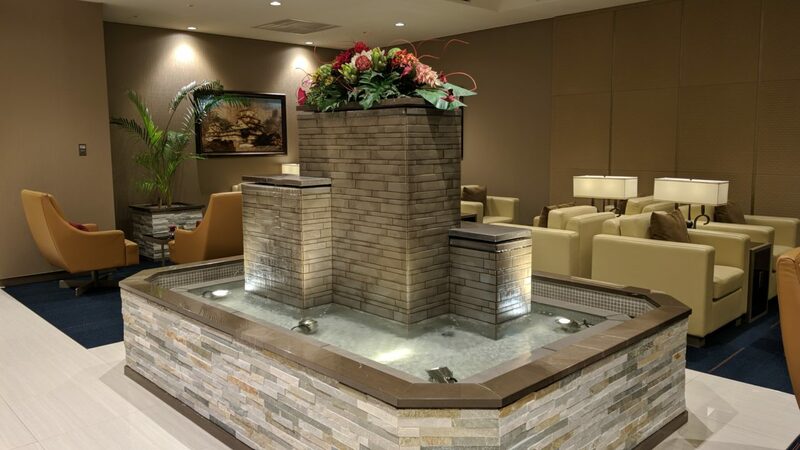 Every wish was taken care of and from welcoming us to giving us a private tour of some of the hotel’s facilities after the dinner, the service was one of the best I’ve ever experienced. Seriously. It was great to witness the high Burj al Arab standard even if we were no overnight guests of the hotel. 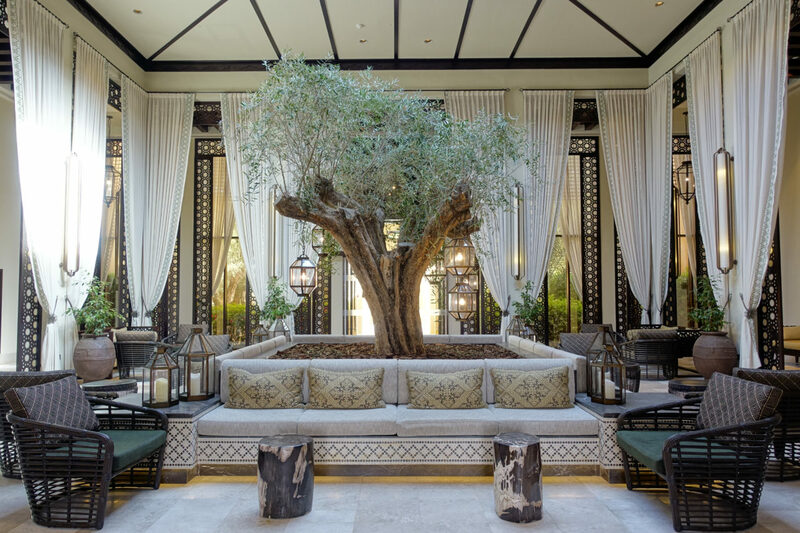 So if you are looking for a very special dinner occasion in Dubai this is your best choice and I can highly recommend the experience. After all, we all need a little romance in our lives from time to time, don’t we. 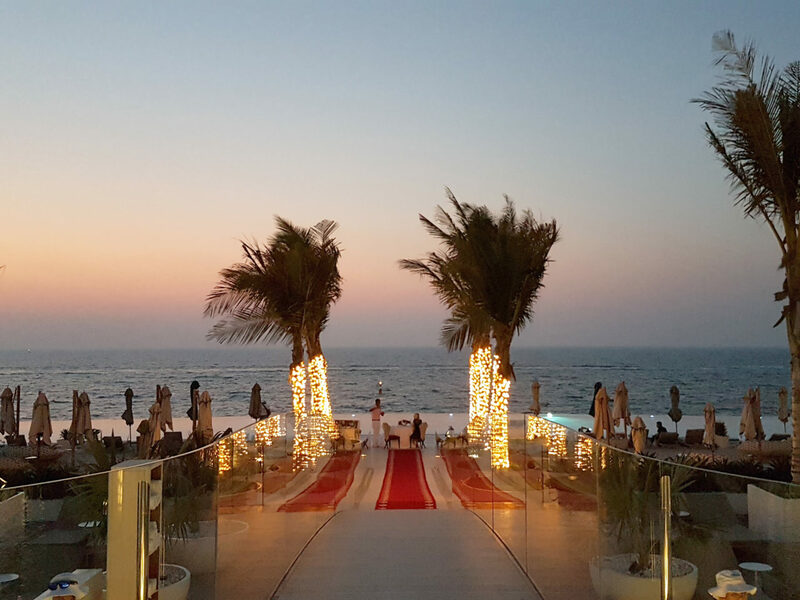 Romantic sunset on the Dubai coastline with a dinner so good it is hard to match. 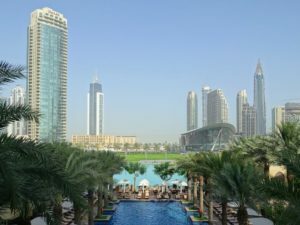 Want to learn more about my favourite food options in Dubai? Check out some of my favourite restaurants here.